The incredibly talented and magnificent John DeLuca had an excellent time as he attended the premiere of Disney Channel’s Adventures in Babysitting on June 23, 2016 at the Directors Guild of America in Los Angeles, California. John DeLuca, who has mesmerized all of his fans with his brilliant work in Disney Channel’s original movies, Teen Beach Movie and Teen Beach 2, had a terrific time celebrating this very special day for Disney Channel and all Disney Channel stars who have been a part of the DCOM family. 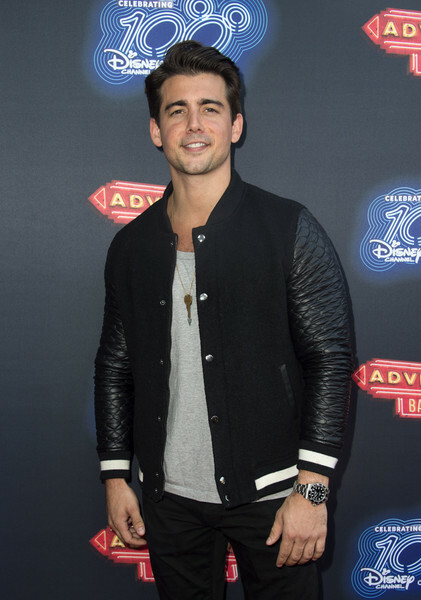 Check out more photos below of the phenomenal John DeLuca looking so amazing at the premiere of Disney Channel’s Adventures in Babysitting! I’m glad John DeLuca had a blast at the event! Previous Article: Mollee Gray Looked So Striking And Beautiful At The Premiere Of Disney Channel’s Adventures In Babysitting! Next Article: Jacob Hopkins Had A Fantastic Time At The Nintendo Kirby: Planet Robobot Event!